India hosts refugees from some of its neighbouring countries as well as others in the region and beyond. As of 2013, the UN Refugee Agency (UNHCR) was supporting 24,000 refugees from Myanmar, Afghanistan and Somalia located in Delhi. It had collected data on these populations, but more was needed to inform advocacy and programming, particularly for its work on promoting self-reliance. For this purpose, in 2013 JIPS worked with UNHCR and the Feinstein International Center to implement a profiling exercise of Afghan, Somali and Myanmarese refugees residing in the urban area. JIPS collaborated with UNHCR and the Feinstein International Center to conduct a profiling exercise on the refugees living in Delhi. The exercise was one of two undertaken by the same partners, the other being in Quito, exploring how to apply our expertise in profiling internal displacement situations to urban refugee contexts. The aim of both exercises was to gather data on different population groups, including host communities, to form the basis for a comparative analysis to improve understanding of their commonalities and differences, and shed light on their specific vulnerabilities. The Delhi exercise was undertaken with a local partner, the Development and Justice Initiative (DAJI) during the first six months of 2013. In addition to assessing the situations of refugees from Myanmar, Afghanistan and Somalia to inform UNHCR’s programming, the exercise covered local host communities to help complete the picture. Based on this experience, a more systematic approach to urban profiling was developed to the benefit of the wider humanitarian and development community and best practice was consolidated in the Guidance on Profiling Urban Displacement Situations. 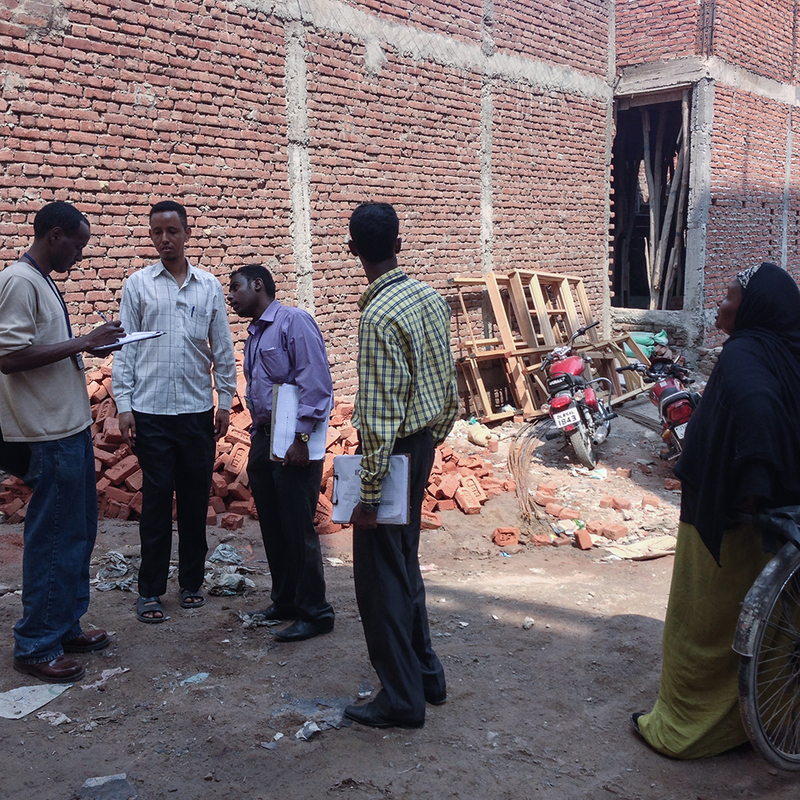 Following our scoping mission in February 2013 to help partners set the objectives and scope of the profiling exercise, a mixed research methodology was adopted involving a household survey covering more than 1,000 households, focus group discussions and key informant interviews. We supported the profiling partners in collecting the data between March and May, and processing and analysing it between June and August 2013. A recommendations workshop was organised in Delhi in June, when the preliminary findings were presented and recommendations were collaboratively developed. It helped to build the capacity of UNHCR and other organisations working with refugees in Delhi by training them in profiling methodology and tool development and data collection. It encouraged organisations that had not previously worked together to collaborate as part of the exercise and beyond. It also provided a forum for these partners to share their experiences and helped to foster a shared understanding of the situation of the different refugee groups in one analysis. Having a dedicated coordinator present throughout the profiling process helps to maximise collaboration and ensure consistency and continuity across all phases of the exercise. Working with local partners helps to inform the logistics of working in complex urban environments, and translate questionnaires accurately into relevant languages to ensure the information gathered is comparable. Piloting and revising questionnaires before the data collection tools are finalised is vital to ensure that the desired information is captured in sufficient quality. Sharing the findings of a profiling exercise with the participating communities helps to make the results more robust and increase their use and impact.